When you do this course you can specialise on becoming an Civil Draftsperson. Civil Draftspersons assist in civil engineering research, design, construction, operations and maintenance. After completion of this course students will be ready to work in the as a Civil Engineering Draftsperson in the industry. Students will learn the progressive technologies such as 3D design and modelling as well as use only the most current software. By studying this course you will learn advanced technical knowledge and research. And will be able to specialise in production planning and resourcing for engineering operations. If students do not want to enter the work force after graduation, this course also provides a pathway to a bachelor degree. The course gives students credit towards engineering bachelor degrees at universities. Civil Engineering Draftsperson (312211) – is currently on the Medium and Long-term Strategic Skills List. This course also offers pathways into university courses and students may be able to apply for recognized prior learning to earn credit towards a bachelor degree. Civil Engineering Drafts person average weekly earnings is $1403 per week. The average hours worked in Australia are 40.3 per week. Civil Engineering draftspersons generally work for a medium to large sized construction company, mining company and government. Civil Engineering Draftsperson are currently on the Medium and Long-Term Strategic Skills List. If undertaking study in Australia for a minimum of 2 years you may qualify for the Temporary Skilled Graduate Visa. 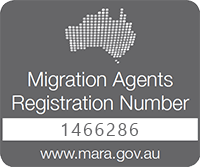 This visa allows the holder 1.5 years unlimited work rights in Australia. Many graduates use this time to build up experience in their field or find an employer that is willing to sponsor their visa. Alterntively many students use this time to obtain a positive skills assessment. By studying for 2 years and passing a provisional or full skills assessment in an occupation that is on the Medium and Long-Term Strategic Skills List , you may be eligible to apply for the temporary graduate visa. The graduate visa is a work visa that allows the visa holder to live and work in Australia for up to 18 months. For more information on the graduate visa click here. A skills assessment for Civil Engineering Draftsperson is done through Engineers Australia or Vet Assess. Before you can apply for general skilled migration visa application you must first have a positive skills assessment in your nominated occupation. Pathway to Aus is only partnered with providers that are accredited by Engineers Australia, the peak body for engineering professionals in Australia. Once you have completed the Job Ready Program you will receive a positive skills assessment. Once you have the positive skills assessment you will may able to apply for general skilled migration visas. If you are interested in studying Civil Engineering in Australia contact Pathway to Aus to speak with one of our Education Agents. We can explain to you the course costs, duration and education providers so you better know your options. Hello, could you give me information about this course? Do you help to immigrate to Australia after it? I am currently enrolled on this course. Nick and the team helped me every step of the way, and are continually available for me to contact if I ever am in doubt of my visa right, future prospects and any issues! The course is a brilliant course which I thoroughly enjoy. I would highly recommend the Associate Degree in Civil Engineering at TAFE. TAFE tops university in my opinion. We come out of our degree with very valuable skills, and prepared for industry. The delivery of the course is fantastic, the lecturers and tutors are all very friendly, knowledgeable and go the extra mile. TAFE is continuously improving their course and help all of their students to develop professionally as much as possible from start to finish! The course encourages professional placements and has lots of industry contacts which is a great way to find employment during and after your studies! The work load is pretty heavy, and you need to put in the hours outside of the class, but it’s well worth it. I would definitely recommend using PTA for everything from visas, insurance, and following migration pathways. Cannot fault their customer service! Thanks for the great feedback, Dan. Hello, could you give me more info about this course? Could you give more details and experience about this degree ?What do you think about job’s prospect? Hi I am civil engineer by profession but I want to develop my skill in project management. Do you have such course? Hello Joey and thank you for contacting us. Could you please give me all information about it. Hey can you send me more information on this? I also have some questions for you. Hi PTA, Could you please send me info on the course? Thank you. Hi. I want to have more information about this course. Thanks. Hi.. I am civil engineer by profession too but I want to develop my skill in project management, as the guy said above. Do you have such course?